Come join us at the Felicita’s Campus Pub for an evening of hanging out with some others in the LGBTQ2SA Community and bonding with us over some adult (or not ) beverages! We will be hanging out in Felicita’s Pub in the Student Union Building (SUB), at 6pm -9pm on February 23rd. Bring your friends! This event is open to everyone- non-students too, although it is 19+ with valid ID! More info below. This event is taking place on the unceded and unsurrendered Lekwungen and WSÁNÉC territories. UVic Pride exists and operates on these territories as a settler organization, and commits to practices of decolonization.  Felicita’s Campus Pub is The University of Victoria’s one and only pub run by students for students. Named after a beloved janitor. Owned & operated by the UVSS. We ask that every person who accesses UVic Pride’s spaces (including our events) be familiar with our Anti-Racism and Anti-Oppression, Anti-Stigma, and Safer Spaces Policies. We strive to make UVic Pride spaces safer for all marganalized communities, and to keep our spaces free of all forms of oppression. An intentionally safer space is created when participants work towards safety for all people and actively challenge all forms of oppression. We define safety as freedom from oppression as outlined in the Collective’s Anti-Oppression and Anti-Racism policy, while recognizing that systemic oppression and power structures are pervasive in all spaces. We recognize that everyone enters our spaces holds different forms and amounts of understandings and knowledges, and we assume the best intent whenever possible. We encourage learning, but we do prioritize safety. For these reasons, anyone who cannot commit to honour our Anti-Racism and Anti-Oppression, Anti-Stigma, and Safer Spaces Policies will be asked to leave. There will be 2 Safer Spaces Volunteers on site to address any instances of oppressive behaviour, or behaviour that violates our anti-oppressive policy, intentional or unintentional. They will be made visible by purple arm bands. The Student Union Building (SUB) is on the North Eastern portion of the Ring Road, which circles the large lawn in the center of campus at the University of Victoria (UVic). The SUB is adjacent to the UVic Bus Loop, Although Felicta’s Pub is on the far end of the SUB. UVic is served by the bus routes 12, 13, 39, 76, 51, 16, 26, 4, 7/2, 11, 14, and 15. Felicita’s Campus Pub is located in the Eastern Most Area of the SUB. The SUB is accessible by three main doors, the First (1) near Cinacenta and the UVic bus loop, from here go straight and follow the curve of the hallway. Continue until the hall ends at the entrance to Felicita’s. The Second (2) is the Main entrance in the middle of the SUB, walk straight in the main doors toward the Info Booth, make a right turn and continue to Felicta’s. And the Third (3) is beside the Coffee Bean, and Felicita’s. Enter and your basically there! The space is also Wheel chair accessible. The main source of seating in Felicita’s is a combination of booth, high top and chair/ table seating. We have requested a long table, with half against the booth a long the wall and the other ends accessible with chairs or wheel chairs. We shall also have better signage this time around! If you have any other accessibility needs please let us know how we can make you more comfortable at our events! There are two (2) multi stall gender inclusive washrooms in the Student Union Building in the main hall. They will be easily found via singable since they are down the hall from the event space.